Register for the Cozy Toes today! When you refer 5 or more friends who register to race with you, you'll get a refund of up to $15.00! Learn more about how it works here. Course Information: The course is around the Driving Track. 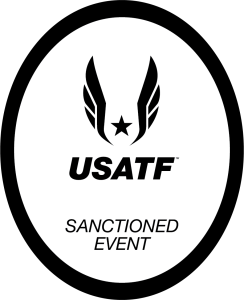 The course is not USATF certified. Events: Everyone is welcome to participate! All participants will have chip-timed results that will be posted online. 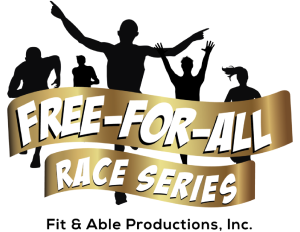 All Fit & Able Productions, Inc. events are inclusion events: anyone of any age, skill-level, or ability can participate in any race! No dogs, bikes, or strollers permitted in race! Water Stations: Water stations will be available on the course (at Mile 2 and the lap count location) and at the finish line. Packet Pick-up: All participants must show a photo ID in order to pick up their race packets. All participants must pick up their own race packet and sign the USATF waiver. Minors must be with a guardian to pick up their race packet. Early packet pickup will be announced race week. Race Souvenirs: Cozy Toes long-sleeve shirt included with registration and finisher gift guaranteed for 8K and 5K if registered by November 20th. First come first serve after that date. Shirts are also available separately for $20. Awards: Awards will be provided for Top 3 Male/Female Overall finishers in the 5K, 8K, and Little Trooper Mile and to the Top Male/Female finisher in each age group in the 5K & 8K. Awards are provided by Omega Sports - Crossroads Plaza. Online registration closes on November 15th at 9 PM. Cash, checks, and credit cards are accepted at packet pick-up and race day. 8K: Shirt included until November 20th. Partner 8K option available. 5K: Shirt included until November 20th. 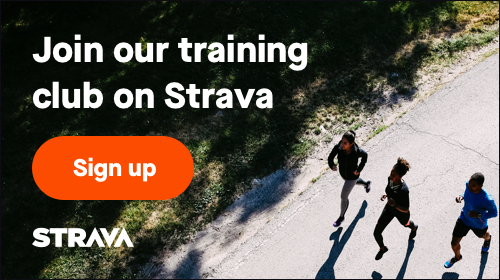 Partner 5K option available. Little Trooper 1 Mile: No shirt included. We can't wait to see you at the Cozy Toes! The Cozy Toes and all its participants are subject to these event policies. NOTE: Information from this site is often shared to other online sources that aren't updated when changes are made here. This site is the only official source for information regarding this event. 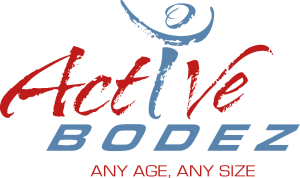 All registrants are automatically subscribed to Fit & Able's weekly newsletter but may unsubscribe at any time. Refer 5 or more participants and get a refund of up to $15.00.